Tis the season of goodwill, so we thought we would spread some Christmas cheer and give one lucky person the chance to win a fabulous Christmas goodie bag filled with locally sourced treats to brighten up anyone’s Christmas. We’ve partnered with local Belgravia businesses to provide a fun range of gifts to suit everyone. 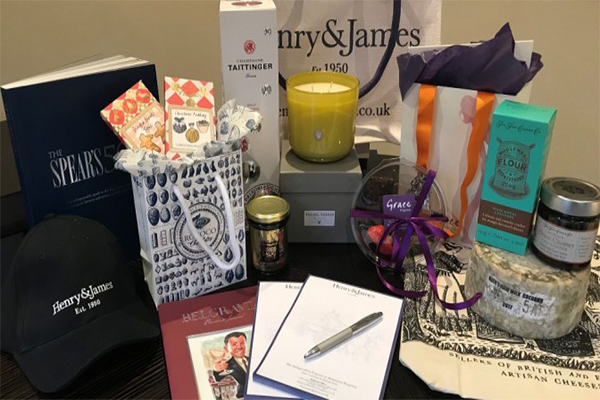 If you are the lucky winner you will receive a goodie bag packed fully of luxury treats including a Rachel Vosper candle and a day at women’s wellbeing club Grace Belgravia. Twitter: Follow @HenryandJames and re-tweet competition post. Facebook: Like or comment on the competition post and feel free to like our page too (www.facebook.com/henryandjames/)! Instagram: Follow henryandjames (www.instagram.com/henryandjames/) and comment on this competition post. – The closing for entries is 23.59 on December 19, 2017. Any entries received after this time and date will not be considered. – One winner will be selected at random on December 20, 2017.